An in-depth investigation will be opened the minute you file a claim with your insurance company or someone else’s insurance company for an injury. This includes injury claims for workplace accidents, slip and fall accidents, premises liability accidents and car accidents. No insurance company will simply receive a claim and approve it instantly. An adjuster will be assigned to the claim. The adjuster will conduct an in-depth investigation into the claim in an effort to find potential insurance fraud or evidence that the payout to the insured should be less than what they are requesting. Let’s take a deeper look at how the insurance carrier will investigate your personal injury claim in today’s post. The adjuster’s first move in the case is to submit requests for records. These records can be anything from police reports to medical records to accident reports submitted to an employer. Either way, the adjuster will make requests for these reports and then review them with a sharp eye to find any issues that could lead to the claim being denied. Now comes the in-depth investigation of the injured claimant. This is the most important part of the insurance claims process. The adjuster will look into everything the insured has said in the claim, done since he or she reportedly suffered their injury, and will even look into their social media posts. 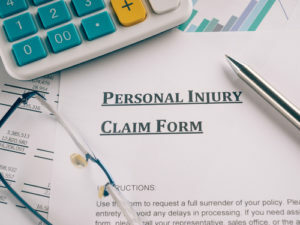 For example, if you filed a claim for a back injury on December 15 and posted pictures of you hiking on December 20, this could easily lead to your claim being denied. The goal of this investigation is to find any piece of information that can either lead to the denial of the claim or approval with a smaller payout. The investigation into the insured will also include searching the name of the insured in a database. The database records all claims of injury or property damage filed. If you’ve filed claims in the past, this could go against your current claim depending on how often it’s happened and how recently. The adjuster assigned to your claim will want to obtain your medical records on their own because they simply don’t trust the claimant to provide all of the documentation required. The adjuster cannot do this until they receive a medical authorization document signed by you. It’s in your best interest to refrain from signing this document unless your attorney has told you to go ahead and do so. After the adjuster has determined that the claim is valid, he or she will place a value on the claim. This is where you can negotiate with the adjuster in an attempt to get the highest amount of money offered by your policy. Did you or a loved one sustain serious injuries due to a car accident in PA? Don’t let the medical bills pile up while you wait for the negligent party, or their insurance company, to do the right thing. Right now, you need an aggressive personal injury attorney on your side, fighting to get you the compensation you need, want, and deserve. The skilled attorneys at Quinn Logue represent clients injured because of a motor vehicle accident in Pittsburgh, Scranton, Ross Township, Bethel Park, and throughout PA. Call (412) 765-3800 or email us to schedule a free consultation about your case. We have an office conveniently located at The Waterfront Building 200 First Ave., 3rd Floor Pittsburgh, PA, 15222-1512 as well as offices in Scranton, PA.